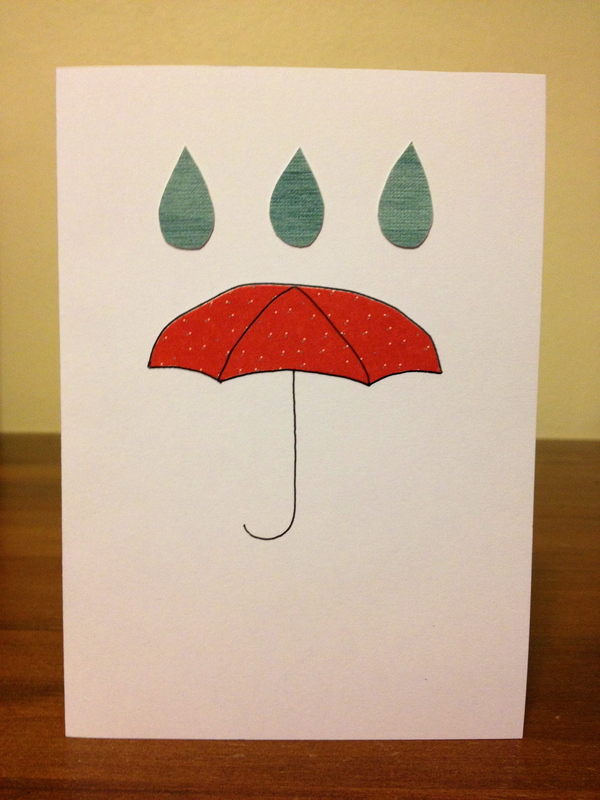 Tonight I crafted an umbrella card. I’m not really sure what to say about it, except that I like it and it rather suits my day because it has been very rainy in Sydney! I like it. Did you draw the umbrella handle and stick on the top bit of it?